We got an opportunity that we honestly couldn’t believe. 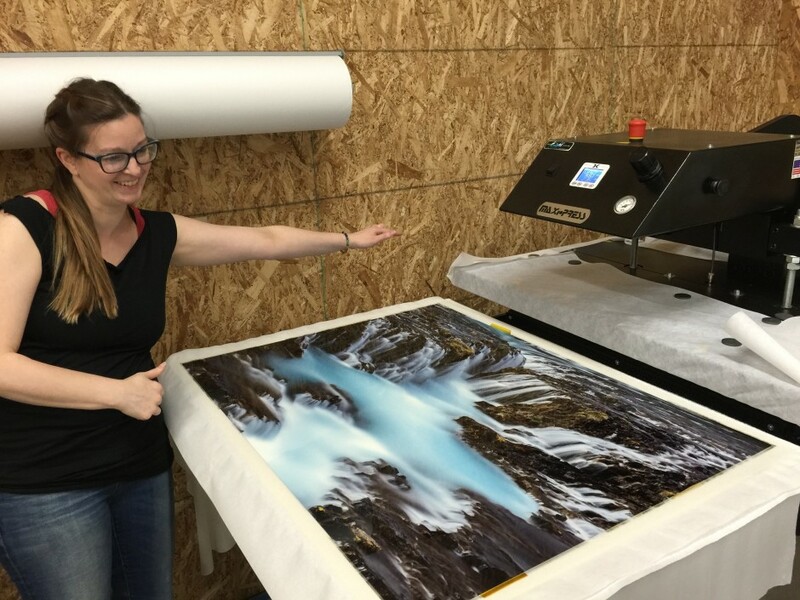 A few months ago, John Harrington from JVH Technical, our favorite local distributor for printers, paper and inks for our business, called us up with a request. We’d recently purchased quite a load of new tech from John – an Epson dye sublimation printer, and two GeoKnight heat presses, including the monster 32×42″ capacity MaxiPress Air, which weighed so much we couldn’t get it into the elevator to our studio, so we had to put it in Nancy’s shop at home (not to mention the 220V electrical it needed to be hard-wired to, which was a no-no at Bayview Corner where the studio resides). It was all in effort to bring Metal Prints to the masses…or at least to our region, since there were very few studios around capable of doing so. And we had clients to please! Photographers had been asking for a while if we could do it, and we always had to send the work out of state to get it done. Not good for business! We took a leap of faith and got the gear. A few months went by, and we learned how to use it all, but hadn’t really gotten the orders for any big metal prints yet. John brought a dye sublimation expert, Mark Trimble from Epson, to our studio to give us a day full of training, marketing expertise, and a custom calibration. 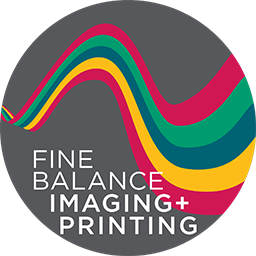 It put our printers and process at a higher quality than the other studios in the industry (who were still using third-party inks and less than perfect calibration for their color accuracy). Mark gave us all the tips and tricks one could ask for. We were still figuring out who our market was, and how to get to them. All in good time. Shortly after this meeting, John calls us up and asks a big question. Would I, Joe, like to present at his annual “JVH Digital Festival”, a printing conference and series of seminars he hosts to get in front of new potential clients and to educate existing customers. I didn’t hesitate, obviously. Huge opportunity. He wanted me to present on all of the things we’d learned over ten years of running a printing service business. Not the tech-support stuff…not the color-calibration. Others had covered that many times before. This was about all the things we did differently at our studio that most printers don’t think to talk about. But then he asked something more. Would we be willing to run off some big metal prints for a special presenter at the JVH Festival? I just about fell out of my chair when he told me who he was referring to. We would be printing images for a photographer that was part of my own mother’s inspiration for going into photography when I was a little kid. One who inspired her to take her own photos to the local art festivals back in the day. Which would eventually inspire me to pick up a camera in my twenties, and begin pursuing photography as more than a hobby. This particular photographer has been shooting for 40 years. He’s published 80 books. Shot for National Geographic. Hosted his own television show. Traveled the world many times over, leading workshops for aspiring nature, wildlife, travel and portrait photographers. We were getting the chance to print for Art Wolfe.